When scale and hardened mud build up in oil well drill pipe, plugged drill heads are the usual result. 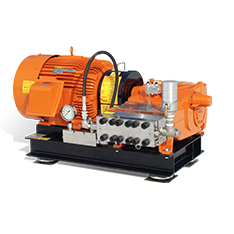 This reduces efficiency and increases downtime. Traditional rattle-and-brush systems can leave some build-up behind and require a rinse operation to flush debris and drilling fluids. With 40,000 psi (2,800 bar) water jet systems from NLB, build-up disappears in a single pass, without a separate rinse operation. Drill pipe easily passes inspection and gets back into service sooner. 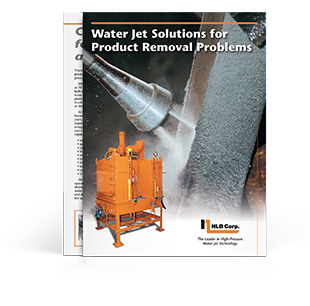 Learn more about using water jets for all types of product removal applications. 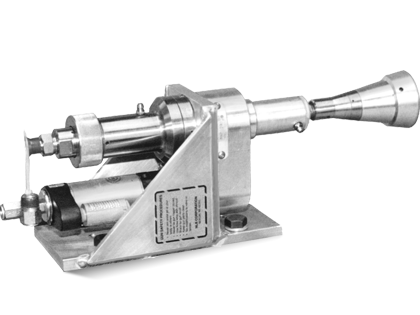 Efficiently delivers high pressure water to the O.D. of drill pipe.